The commander of the 2d Bomb Wing is Colonel Ty W. Neuman. He also functions as the installation commander of Barksdale Air Force Base. The vice commander is Colonel Brandon Parker. The base is closed to the public. However, the base is home to the Eighth Air Force Museum, which hosts static displays of numerous aircraft including a Royal Air Force Avro Vulcan bomber, Consolidated B-24 Liberator, Boeing B-17 Flying Fortress, North American P-51 Mustang, Lockheed SR-71 Blackbird, General Dynamics F-111 Aardvark, and multiple versions of the Boeing B-52 Stratofortress. There is an annual open house when non-DoD visitors are allowed. Visitors may also tour the museum from 9:30 am to 4 pm every day except official holidays. Barksdale Field was named in honor of 2nd Lieutenant Eugene Hoy Barksdale (1895–1926) on 2 February 1933. Lieutenant Barksdale received his wings in Great Britain in 1918 and flew with the British during World War I. Barksdale died on 11 August 1926, over McCook Field near Dayton, Ohio when testing a Douglas O-2 observation airplane for spin characteristics. He did not recover from a flat spin while parachuting out of the plane, and his parachute was caught in the wing's brace wires, causing Barksdale to fall to his death. He was buried with full military honors in Arlington National Cemetery. The name of the airfield was changed to Barksdale Air Force Base on 13 February 1948, concurrent with the establishment of the United States Air Force as a separate military branch. Airships were still in use when field construction began, so Hangars One and Two were built large enough to accommodate them. No airships were ever assigned, but each hangar was large enough to accommodate two Boeing B-52 Stratofortress bombers wingtip to wingtip, which proved invaluable for Big Belly and Pacer Plank modifications managed by Boeing's Wichita plant between 1965 and 1973. Half of the B-52Fs were deployed from Barksdale, but never returned as they were replaced by B-52Gs after the Vietnam War. As early as 1924, the citizens of Shreveport became interested in hosting a military flying field. In 1926, Shreveport citizens learned that the 3rd Attack Wing stationed at Fort Crockett, Texas, would be enlarged by 500 percent and would require at least 20,000 acres (81 km2) to support aerial gunnery and a bombing range. The efforts to procure the government's commitment to build the facility in the Shreveport metropolitan area were spearheaded by a committee co-chaired by local civic leaders Andrew Querbes and John D. Ewing, beginning in 1927. It took a great deal of correspondence between the interested parties and the original proposal was rejected. However, in February 1928, a young crop duster, an Air Corps captain named Harold Ross Harris, was hired to fly over the local area in order to find a suitable site for the airfield. The site was selected 5 December 1928, as the location of the airfield. The land in Bossier Parish on which the airfield was built was unincorporated land near Bossier City that was annexed by the city of Shreveport once the site had been selected among 80 candidates. The real estate was purchased from over 800 property owners via a $1,500,000 municipal bond issue approved by Shreveport voters in 1929 in fulfillment of the pledge that the citizens of Shreveport made to the U.S. government. The last of these bonds matured on December 31, 1959. After acquisition, Shreveport then donated the land to the federal government per their agreement, while the federal government assumed all the costs of building construction and equipment installation. Shreveport had originally proposed a site adjacent to Cross Lake (Shreveport, Louisiana) in Caddo Parish, Louisiana, but the United States Department of War deemed this location inappropriate due to the lack of suitable terrain for the facility's future expansion. Subsequent to the establishment of the military installation, Bossier City grew and expanded southward and eastward, eventually enveloping the area surrounding the base. Technically, of course, Barksdale AFB is neither in Bossier City nor Shreveport but, like all military bases, is an autonomous community with its own infrastructure. However, the base obtains its water from the Shreveport Water system, with a connection to the Bossier City Water System as a backup supply of water in case the Shreveport System is undergoing maintenance or emergency situations. Construction of Barksdale Field began in 1931, when hangars, runways, and billets were built. Early flying operations began on 7 November 1932, with the arrival of the 20th Pursuit Group and its three pursuit squadrons equipped with the Boeing P-12 and Boeing P-26 Peashooter. The airfield was officially opened and dedicated on 2 February 1933. By the mid-1930s, Barksdale Field was the headquarters and main base of the 3rd Attack Wing, equipped with the Curtiss A-12 and Northrop A-17. The airfield was used by both fighter and attack pilots to hone their gunnery and bombing skills. Additional barracks were constructed 1936–1937, and light bombers replaced pursuit and attack aircraft. Barksdale was developed as an Air Corps flying school November 1940 and the runway apron was completed mid-1941. Between 23 and 25 May 1940, Barksdale Field was host to the Army's "complete military maneuvers" simulating European combat operations. Some 320 aircraft from throughout the Army Air Corps participated, as Major General Dwight D. Eisenhower watched. General George C. Marshall, the U.S. Army Chief of Staff, also briefly visited Barksdale Field during the latter stages of the maneuvers. The 335th Bombardment Group (Medium) took over training duties as a permanent Operational Training Unit (OTU) on 17 July 1942 with Martin B-26 Marauders. On 1 May 1944, the 335th was replaced by the 331st Army Air Force (AAF) Base Unit as the OTU, being subsequently replaced by the 2621st AAF Base Unit on 1 December 1945. The 2621st provided pilot training until 26 September 1947, when it was inactivated and replaced by the 2621st Air Force Base Unit. Barksdale Field was renamed Barksdale Air Force Base on 13 January 1948, with the designation of the United States Air Force as a separate service in 1947. In the postwar year of the 1940s, Barksdale then became headquarters for the Air Training Command from 1945 to 1949. The 47th Bombardment Wing, Light, equipped first with the Douglas B-26 Invader was assigned on 19 November 1948, from Biggs Field for transitioning to the North American B-45 Tornado. The B-45 was the United States Air Force's first operational jet bomber, and the first jet aircraft to be refueled in the air. The first B-45As began arriving in December 1948, with the wing accepting 96 aircraft by March 1950. Due to budget reductions in the B-45 program, the air force planned to inactivate the 47th Bomb Wing and transfer its B-45s and personnel to Yokota AB, Japan so Far East Air Forces could benefit from the know-how gained by the 47th at Barksdale. However the costs of moving the aircraft to Japan were substantial, as the range of the B-45 was insufficient to fly from California to Hawaii, and the aircraft could not be equipped with external fuel tanks. Initial use of the B-45 at Barksdale also showed that the aircraft was not truly operational, with ineffective fire control and bombing systems along with structural weaknesses developing on the aircraft already in use. In addition, each engine had to be inspected after only ​7 1⁄2 hours of use. If found serviceable, it could be only flown another ​7 1⁄2 hours before a total overhaul was necessary. It was determined that the aircraft simply could not be deployed overseas and put into operational use. It took almost two years until Air Materiel Command could work out these issues and have the 47th Bomb Wing's aircraft ready for operational use. The 47th Bomb Wing was assigned to NATO and was reassigned first to Langley AFB in March 1951, then afterwards to RAF Sculthorpe, England, arriving in the UK on 1 May 1951. With the departure of the 47th, Barksdale phased out bomber crew training. U.S. Representative Joe Waggonner, worked successfully to keep Barksdale open during his time in Congress. Through his efforts, Barksdale survived base closures that occurred elsewhere across the nation. On 1 November 1949, Barksdale was reassigned to Strategic Air Command (SAC), and became home of Headquarters Second Air Force. Barksdale remained a SAC base for nearly the next half-century. However, with the change of commands, the mission of Barksdale initially remained that of a training base where units were formed and organized, then were reassigned to front-line operational bases. The first SAC unit at Barksdale was the 91st Strategic Reconnaissance Wing was reassigned to the base from McGuire AFB on 1 October. The mission of the 91st was to provide global strategic reconnaissance, with emphasis on aerial photography and mapping. The 91st was equipped with a myriad of aircraft, including versions of the Boeing RB/TRB-17 Flying Fortress; Boeing RB/TB/TRB-29 Superfortress; Douglas RC-54 Skymaster; Boeing B/RB-50 Superfortress, and the North American RB-45 Tornado. The 91st maintained operational detachments of aircraft and crews drawn from several components to provide reconnaissance support in overseas areas, including the United Kingdom and locations in North Africa. Deployments would be routine and last for about three months. With the arrival of the 376th Bomb wing in October 1951, the decision was made to reassign the 91st. On 16 June 1952 the 91st was reassigned to Lockbourne AFB, Ohio. The 301st Bombardment Wing joined the 91st SRW at Barksdale on 7 November 1949, being transferred from Smoky Hill AFB, Kansas, where it was reactivated the year before. Both wings operated a joint integrated headquarters although each wing continued tactical operations independently. Initially flying the B-29 Superfortress, after arriving at Barksdale the 301st was one of the first units to conduct aerial refueling operations with the KB-29 tanker version of the Superfortress. The wing converted to the Boeing B-47 Stratojet in 1953 and traded in its KB-29 tankers for the upgraded Boeing KC-97 Stratofreighter. The mission of the 301st was to train for strategic bombing missions and to conduct aerial refueling. The wing deployed to England in 1953 and to French Morocco in 1954. It was reassigned to Lockbourne AFB, Ohio on 15 April 1958 where it became an Electronic Countermeasures (ECM) unit and was engaged in various clandestine intelligence missions. To provide air defense of the base, United States Army established the Barksdale Defense Area in 1959 and constructed Nike Hercules surface-to-air missile sites for air defense. Sites were located near Bellevue (N.E. of Shreveport) (BD-10) 32°40′28″N 093°30′34″W﻿ / ﻿32.67444°N 93.50944°W﻿ / 32.67444; -93.50944, and Stonewall (BD-50) 32°17′39″N 093°47′17″W﻿ / ﻿32.29417°N 93.78806°W﻿ / 32.29417; -93.78806 in Louisiana. The unit involved may have been from the 562nd Air Defense Artillery Regiment. They were operational between November 1960 and March 1966 when they were inactivated as part of the reduction of the air defenses in the United States against aircraft. On 10 October 1951 the 376th Bombardment Wing was reassigned to Barksdale from Forbes AFB Kansas. Initially equipped with obsolescent B-29 Superfortresses, the 514th Bomb Sqd. trained to drop A-bombs until the wing upgraded to the Boeing B-47 Stratojet bomber in June 1953 which took over the A-bomb duty. The 376th began flying EB-47 Stratojets in 1954 for Electronics Countermeasures operations, which became the wing's primary mission in September 1953. The wing was reassigned to Lockbourne AFB on 1 December 1957 where it replaced and absorbed the personnel and assets of the 91st Strategic Reconnaissance Wing and was redesignated the 376th Bombardment Wing (electronics countermeasures), flying EB-47E Stratojets . Following the transfer 301st and 378th Bomb Wings in 1957 and 1958 respectively, Barksdale was slated to receive Boeing's newest pair of strategic aircraft: the Boeing B-52 Stratofortress and the Boeing KC-135 Stratotanker. The mission of Barksdale was also changed from being a SAC training base to a front-line operational base. It received its new aircraft and mission in the form of the 4238th Strategic Wing which was a derivative of the 7th Bomb Wing from Carswell AFB, Texas. 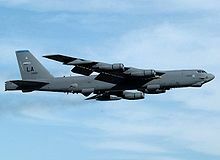 The 4238th was equipped with the B-52F and KC-135A strategic tankers that were assigned to Barksdale. Its units consisted of the 436th Bomb Squadron and 913th Air Refueling squadron. It was assigned to Barksdale on 3 May 1958 as part of SAC's plan to disburse its big bombers over a larger number of bases, thus making it more difficult for the Soviet Union to knock out the entire fleet with a surprise first strike. The 436th Bomb Squadron consisted of 15 aircraft. Half of the planes were maintained on fifteen-minute alert, fully fueled, armed, and ready for combat. The remaining planes were used for training in bombardment missions and air refueling operations. The 1st Combat Evaluation Group (1961–90) reporting directly to the Deputy Commander of Operations, Strategic Air Command Headquarters, Offutt AFB, Nebraska, to provide command level standardization/evaluation of SAC aircrews, radar scoring of simulated bombing activity by SAC aircraft; and contingency warfare support of ground directed bombing, with detachments in Southeast Asia during the Vietnam War. In 1990, part of the 1CEVG became the 99 Electronic Combat Range Group and was the 99th Range Group became part of the Nellis AFB 98th Range Wing in 1995. The 4238th Strategic Wing was phased out on 1 April 1963. The 2d Bombardment Wing, Heavy was reassigned without equipment or personnel to Barksdale from Hunter AFB, Georgia. taking over the B-52 and KC-135 mission from the 4238th Strategic Wing. The aircraft and crews remained at the base, but the wing (and its bomb squadron) were given new designations, the 20th Bombardment Squadron and 913th Air Refueling Squadron. The 2d Bomb Wing under various designations, has been the host unit at Barksdale for over 40 years. The 20th retained the B-52Fs until being transferred in June 1965 to the 7th Bomb Wing at Carswell AFB. It was replaced by the 62d Bomb Squadron, which flew the B-52G which was reassigned from the inactivating 39th Bombardment Wing at Eglin AFB, Florida. A second "G" squadron, the 596th Bomb Squadron was reassigned to Barksdale in April 1968 from the 397th Bombardment Wing at Dow AFB, Maine. During the Vietnam War, the 2d Bomb Wing deployed to Southeast Asia for "Arc Light" and "Young Tiger", including use B-52G in Linebacker I and Linebacker II raids of 1972 – 73 at the end of the Vietnam war. In addition to the Motorola SST-181 X Band Beacon Transponder for Combat Skyspot, the B-52G had onboard electronic countermeasures for protection against enemy Surface-to-air missiles. In the latter stages of Linebacker II, some of the B-52Gs were diverted in-flight to targets deemed to be less dangerous. All aircraft and crews returned to Barksdale in January and October 1973. From 1973–1992, Barksdale hosted the annual Strategic Air Command Bombing and Navigation Competition and awards symposium. After spending weeks dropping bombs on ranges throughout the United States and engaging in navigational competition, SAC's finest bomber and tanker aircrews gathered here for the score posting and awards presentation, and to work together to improve the training of SAC aircrews. Headquarters Second Air Force was inactivated on 1 January 1975, being replaced by Headquarters Eighth Air Force which was transferred to Barksdale after being located at Andersen AFB, Guam for five years in charge of SAC strategic operations for the Vietnam War. At Barksdale, the Eighth took over the operations and personnel of the inactivated Second Air Force. In 1978, the Eighth Air Force Museum was established at Barksdale with the arrival of a Boeing B-17 Flying Fortress of the type the "Mighty Eighth" flew during World War II. The museum has grown greatly over the years, and today its collection includes the Consolidated B-24 Liberator, Boeing B-29 Superfortress, Boeing B-47 Stratojet, Boeing B-52D and G Stratofortresses, British Avro Vulcan B.Mk2, General Dynamics FB-111A, Beechcraft C-45 Expeditor, Douglas C-47 Skytrain, Noorduyn UC-64A Norseman, Boeing KC-97 Stratofreighter, Boeing KC-135 Stratotanker, North American P-51D/F-51D Mustng, Republic F-84F Thunderstreak, Mikoyan-Gurevich MiG-21F, Lockheed T-33 Shooting Star and Lockheed SR-71 Blackbird. Barksdale's 32d Air Refueling Squadron received the first operational McDonnell Douglas KC-10A Extender aerial tanker in November 1981. The 32d ARS was reassigned to the 458th Operations Group on 1 June 1992 and to the 305th Operations Group on 1 July 1995. The 71st ARS was reassigned to the 458th Operations Group at McGuire AFB, New Jersey. Barksdale's last KC-135 was placed in the Eighth Air Force Museum after its final flight in March 1994 and the last KC-10 departed for McGuire AFB in October. In April 1982, and again in December 1990, the space shuttle Columbia made stops at Barksdale on its way back to Cape Canaveral. On 20 September 2009, the airport was again used as a refuelling stop for the Space Shuttle's return flight to the Kennedy Space Center, as has done numerous times before. This time it was the Space Shuttle Discovery that was being piggybacked from Naval Air Station Joint Reserve Base Fort Worth. The Shuttle Carrier Aircraft and Space Shuttle Discovery remained at Barksdale over night. Barksdale played significant roles in Operation Just Cause to restore democracy to Panama in December 1989, Operation Desert Shield in August 1990 and Operation Desert Storm in January 1991. The first combat sortie of Desert Storm was launched from Barksdale, when seven B-52Gs flew a 35-hour mission – the longest combat sortie in history at that time – to fire a barrage of conventional air-launched cruise missiles against Iraq. The B-52s from Barksdale that were deployed to Morón Air Base, Spain (a former SAC "Reflex" base) dropped 10 percent of all U.S. Air Force bombs during the Persian Gulf War. Upon its return from the Middle East, the 2d Bombardment Wing, Heavy was redesignated the 2d Wing with its implementation of the objective wing organization on 1 September 1991. The base turned its attention from combat to more peaceful pursuits when two B-52s, a KC-10 and their crews visited Dyagilevo Air Base, Russia, in March 1992. In May 1992, Barksdale hosted a return visit by two Russian Tupolev Tu-95 "Bear" bombers, an Antonov An-124 "Condor" transport and 58 Russian airmen. The Russians stayed for six days, seeing a slice of America and participating in Strategic Air Command's final Bombing and Navigation Competition awards symposium. The Russians visited again in August 1994, bringing a Tu-95 "Bear" and an Ilyushin Il-78 aerial tanker. Barksdale began a friendship with Ukrainian Air Force airmen later in 1994, when a B-52 and KC-10 visited Poltava Air Base, Ukraine. In April 1992, 265 buildings on Barksdale's main base were placed on the National Register of Historic Places. The area from the Shreveport Gate to the flightline and from the Bossier Gate to Hoban Hall make up the Barksdale Field Historic District, along with much of family housing. On 1 June 1992, Barksdale was transferred from the inactivating Strategic Air Command to the newly activated Air Combat Command (ACC). All active-duty aircraft assigned to Barksdale were assigned ACC tail codes of "LA". An equipment change began also in 1992 when the 596th Bomb Squadron retired its B-52Gs and replaced them with B-52Hs from inactivating squadrons at other former SAC bases. The 596th itself was inactivated when it was replaced by the 96th Bomb Squadron on 1 October 1993. The 20th Bomb Squadron was reassigned to the 2d Wing on 17 December 1992 when it and its B-52Hs were reassigned to Barksdale from the 7th Wing, the latter which was relocating from the closing Carswell AFB, Texas and transferring to Dyess AFB, Texas in order to transition to the Rockwell B-1 Lancer. In October 1993, the 2d Wing was redesignated as the 2d Bomb Wing when the 71st Air Refueling Squadron and its KC-135A/Qs were reassigned to the Air Mobility Command. A third B-52H squadron was assigned to the wing on 1 July 1994 when the 11th Bomb Squadron was activated at Barksdale. The mission of the 11th BS is that of a Formal Training Unit (FTU) for the B-52H. Barksdale became the focus of attention once again in September 1996 as two of its B-52s fired 13 conventional air-launched cruise missiles on surface-to-air missile sites and air defense radars in Iraq. Dubbed Operation Desert Strike, the mission came in response to Iraqi ruler Saddam Hussein's attacks on Kurds in northern Iraq and was the first combat employment of the B-52H in history. In only a span of 80 hours, Barksdale B-52s and support personnel deployed forward to Andersen Air Force Base, Guam, carried out the strike against Iraqi targets and returned to Guam. Fourteen months later, in November 1997, personnel and aircraft deployed from Barksdale to the British island of Diego Garcia in the Indian Ocean by order of the president. They joined forces already in the region in response to a renewed bout of provocations and threats made by Saddam Hussein. Remaining at Diego Garcia until June 1998, Barksdale's forces bolstered the ability to defend the security of the region against possible aggression by Iraq and to accomplish specific military objectives if a diplomatic solution to the confrontation could not be achieved. Six B-52s and personnel from Barksdale were again deployed to Diego Garcia in November 1998 becoming part of the 2d Air Expeditionary Group. Seven bombers and about 180 people deployed in response to Iraq's refusal to cooperate with U.N. weapons inspectors. Although president Bill Clinton called off strikes after Hussein's last-minute concessions to meet U.N. demands, Iraq 's cooperation continued to deteriorate. U.S. military forces, including Barksdale's B-52s, launched a sustained series of air strikes against Iraq shortly after midnight 17 December 1998. The three-day-long campaign, dubbed Operation Desert Fox, followed the latest in a series of roadblocks by the Iraqi government against weapons inspections conducted by the U.N. Special Commission. From March to June 1999, ten B-52s and personnel of the 2d Bomb Wing played a prominent role in halting the brutal Serb expulsion of ethnic Albanians from Kosovo. Operating from RAF Fairford as part of the 2d Air Expeditionary Group in the United Kingdom, Barksdale B-52s flew over 180 combat sorties and released over 6,600 weapons against military targets throughout the Federal Republic of Yugoslavia during Operation Allied Force. Immediately following the terrorist attacks on 11 September 2001, Barksdale provided a safe haven for President George W. Bush on his return flight to the nation's capital. Shortly thereafter, the National Command Authority called upon the base to provide substantial forces to spearhead the Global War on Terrorism. Operating from multiple overseas locations, Barksdale airmen and B-52s, both active and reserve alike, played a key role in the first airstrikes of Operation Enduring Freedom. Returning yet again to the skies of Iraq, Barksdale B-52s flew over 150 combat sorties against military targets throughout the southern half of the country during Operation Iraqi Freedom. On 30 August 2007, a B-52 originating from Minot Air Force Base carried six AGM-86 cruise missiles, each loaded with a W80 nuclear warhead, to Barksdale without the knowledge of base personnel or crew. The incident sparked controversy across the country. As an end result of the situation, Secretary of Defense Robert Gates announced that, "A substantial number of Air Force general officers and colonels have been identified as potentially subject to disciplinary measures, ranging from removal from command to letters of reprimand", and that he had accepted the resignations of USAF Secretary Michael Wynne and USAF Chief of Staff Michael Moseley. This led to the establishment of the Global Strike Command, activated in August 2009 with headquarters at Barksdale. The 2nd Bomb Wing was assigned to the Air Force Global Strike Command on 1 February 2010. 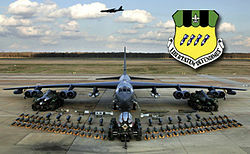 On 1 January 2011, Air Force Reserve Command inactivated the 917th Wing, while at the same time activating the 307th Bomb Wing, which subsumed the B-52 units of the 917th Wing. The A-10 units of the 917th Wing remain at Barksdale AFB, under the newly created 917th Fighter Group, while organizational control is with the 442d Fighter Wing, Whiteman AFB, Missouri. A 2013 North Korean propaganda photo shows that Barksdale is be one of four targets in the United States for a potential North Korean nuclear attack, alongside the Pentagon in Arlington, Virginia, Pearl Harbor in Hawaii, the headquarters of the U.S. Indo-Pacific Command and the site of the Pearl Harbor attacks, and San Diego, the homeport of the Navy's Pacific Fleet. The photo depicts North Korean leader Kim Jong Un meeting with several of his generals in a "situation room" with walls covered in maps, one of which depicts lines thought to represent missiles going from Korea to the United States. The line targeting Barksdale was obscured by the hat of Lt. Gen. Kim Rak-gyom, but is believed by nuclear proliferation and North Korea expert Jeffrey Lewis to lead to Barksdale. Barksdale is thought to be targeted because it hosts the Headquarters of the Air Force Global Strike Command and its fleet of nuclear-armed bombers. In a 2018 book, Lewis argues that North Korea also targeted Barksdale because President Bush took shelter there after the 9/11 attacks, to send a message to the President that "you can run, but you can't hide." Though declining to comment on specifics, a spokesperson for Barksdale said that enemies of the United States are "grossly overmatched in their capabilities" and that the Air Force is "ready to project that power and [to] make sure they understand that message loud and clear." The 917th Wing was originally formed as the 917th Troop Carrier Group on 17 January 1963 at Barksdale and was assigned to the 435th Troop Carrier Wing. Its mission was to administer and support its assigned 78th Troop Carrier Squadron which was equipped with Douglas C-124 Globemaster IIs. On 1 July 1963, both the group and squadron were reassigned to the 442nd Troop Carrier Wing because their new gaining command, the Military Air Transport Service (MATS), wanted all five Air Force Reserve C-124 Groups assigned to the same wing. The units were reassigned to the 512th Troop Carrier Wing on 25 March 1965. Reflecting similar changes in the active force, the 917th was redesignated twice – initially to the 917th Air Transport Group in 1965, and then to the 917th Military Airlift Group in 1966. The 917th Military Airlift Group was awarded the Air Force Outstanding Unit Award for its exceptional safety record of more than 55,000 accident-free flying hours and global support missions. On 26 April 1972, the unit was redesignated the 917th Special Operations Group, with Tactical Air Command as the gaining major air command. As the missions changed, the unit was redesignated the 917th Tactical Fighter Group (917 TFG) on 1 October 1973. The 78th Troop Carrier Squadron was subsequently inactivated and replaced by the 47th Tactical Fighter Squadron. During the late 1980s, the 917 TFG group was upgraded to wing status and renamed the 917th Tactical Fighter Wing (917 TFW). Due to air force restructuring in June 1992, Tactical Air Command was combined with all elements of the Strategic Air Command (except KC-135 and KC-10 aircraft)to form the new Air Combat Command (ACC). The 917th Tactical Fighter Wing joined Air Combat Command and "Tactical" was dropped from its name. On 1 October 1993, the 917th Fighter Wing (917 FW) saw important changes once again. The 46th Fighter Training Squadron was inactivated when the active-duty Air Force took control of all fighter replacement training. On this same day, the 917th became the first unit in Air Force Reserve history to acquire a strategic mission: B-52Hs were added to the wing make-up and the 93rd Bomb Squadron was activated. Now a composite wing, the 917th dropped "Fighter" from its name and became the 917th Wing (917 WG). In its 2005 BRAC Recommendations, DoD recommended to realign Eielson Air Force Base, Alaska. Some of the 354th Fighter Wing's assigned A-10 aircraft (located at Eielson AFB) would be distributed to the 917th Wing Barksdale Air Force Base (three aircraft). This recommendation was made because, although a base with high military value, Eielson was an expensive base to maintain. In another Recommendation, DoD recommended to realign Air Force Reserve fighter assets at Naval Air Station Joint Reserve Base New Orleans, LA. It would distribute six of the 926th Fighter Wing's A-10 aircraft to the 917th Wing. On 20 September 2009, the airport was used as a refuelling stop for the Space Shuttle Discovery's return flight to the Kennedy Space Center that was being piggybacked from Naval Air Station Joint Reserve Base Fort Worth. The Shuttle Carrier Aircraft and Space Shuttle Discovery remained at Barksdale over night. Bossier Base, now called The East Reservation due to its location east of the runway, was formerly a Defense Atomic Support Agency (DASA)Q clearance maintenance and WSA during the Cold War. It was similar to Sandia Base's Manzano. Once entirely independent of the USAF and Barksdale AFB, it has been merged with the main base. David Wade, commander of the SAC Second Air Force at Barksdale from 1963 to 1966, was reared in Claiborne Parish some fifty miles to the east. Beau Morris, "The Political Origins of BAFB", Vol. 8, No. 3 (Spring 1977), pp. 131–136. ^ "Units". Barksdale AFB. Retrieved 13 November 2018. ^ J, Brock, Eric (31 January 2001). Eric Brock's Shreveport. Pelican Publishing. ISBN 978-1-4556-0386-2. ^ "Barksdale 2016 Water Report". 6 July 2017. Retrieved 12 November 2018. ^ "Joe Waggonner, La. congressman - The Boston Globe". Boston Globe. Associated Press. 10 October 2007. Retrieved 13 November 2018. ^ "Joseph David Waggonner Jr". Shreveport Times. 9 October 2007. Retrieved 13 November 2018. ^ Amber Ashcroft, Serving up good conversations for 60 years, Air Force Print News, 1 September 2010. ^ National Register Staff (January 1992). "National Register of Historic Places Registration Form: Barksdale Field Historic District". National Park Service. Retrieved 10 April 2018. With forty photo from 1991. ^ "B-52 carried nuclear armed cruise missiles by mistake: US". Spacewar. AFP. 5 September 2007. Retrieved 13 November 2018. ^ a b Berkowitz, Bonnie; Karklis, Laris; Meko, Tim (25 July 2017). "What is North Korea trying to hit?". The Washington Post. Retrieved 12 November 2018. ^ a b Pickrell, Ryan (24 July 2017). "North Korea Identifies Hawaii and Alaska as Possible Targets". The National Interest. Retrieved 13 November 2018. ^ a b c Lewis, Jeffrey (8 April 2013). "North Korean Targeting". Arms Control Wonk. Retrieved 12 November 2018. ^ O'Connor, Tim (3 August 2017). "North Korea could launch a second, much deadlier Pearl Harbor attack". Newsweek. Retrieved 13 November 2018. ^ Lewis, Jeffrey (7 August 2018). The 2020 Commission Report on the North Korean nuclear attacks against the United States : a speculative novel. Mariner Books. pp. 215–216. ISBN 9781328573926. ^ Henson, Christian (11 August 2017). "Barskdale Air Force Base reacts to possible North Korean missile threat". ArkLaTex Homepage. Retrieved 13 November 2018. ^ Christian Brahmstedt, ed. (2002). Defense's Nuclear Agencies, 1947–1997 (Book). DTRA history series. Washington: Defense Threat Reduction Agency, U.S. Dept. of Defense. pp. vi, 458 p. :. OCLC 52147468. This article incorporates public domain material from the United States Government document "Barksdale Air Force Base". 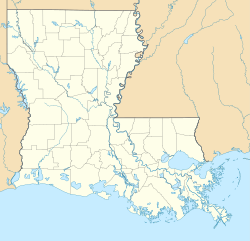 Wikimedia Commons has media related to Barksdale Air Force Base.